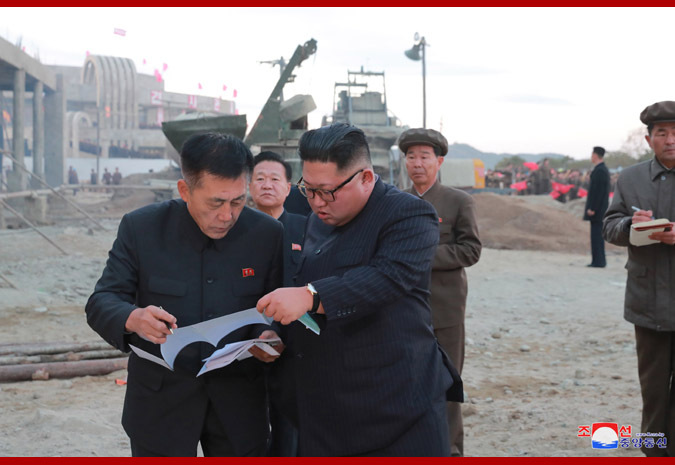 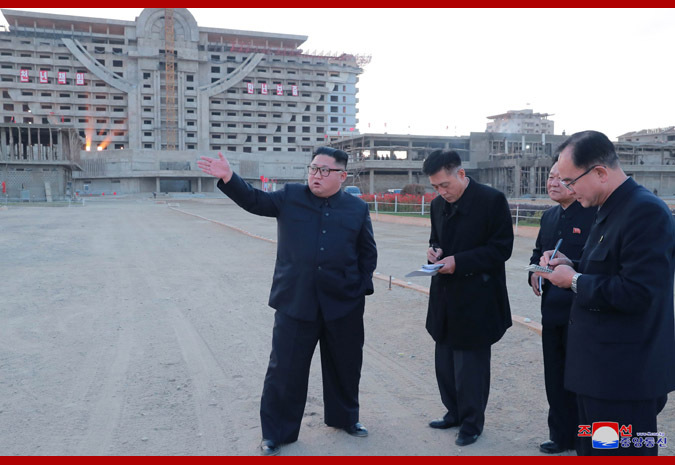 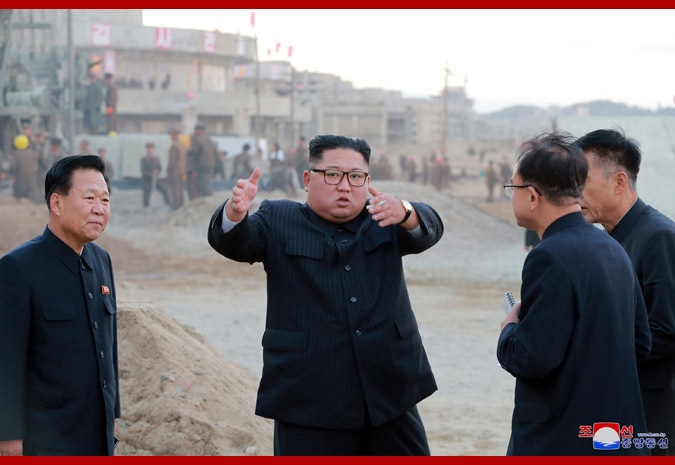 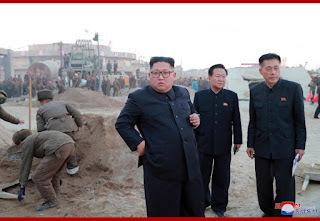 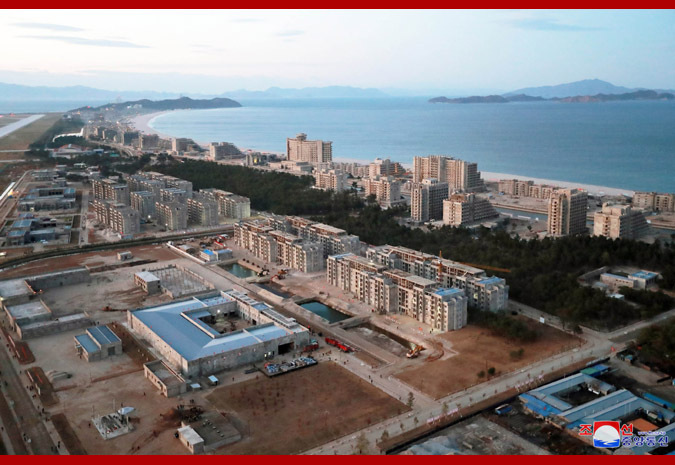 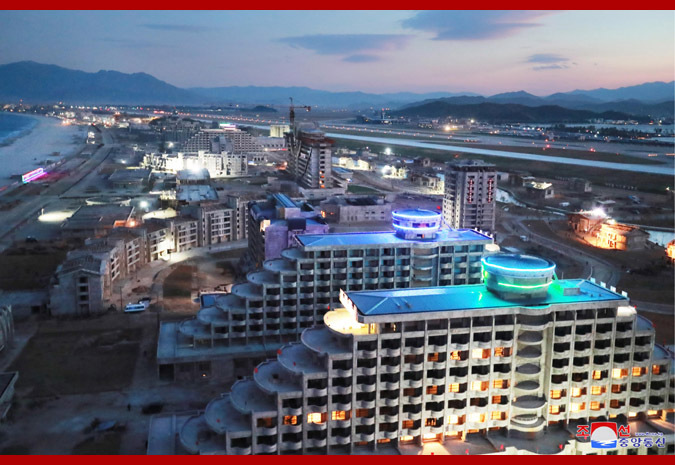 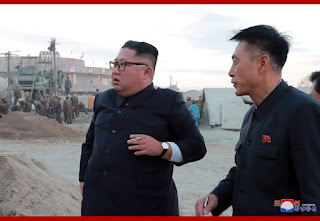 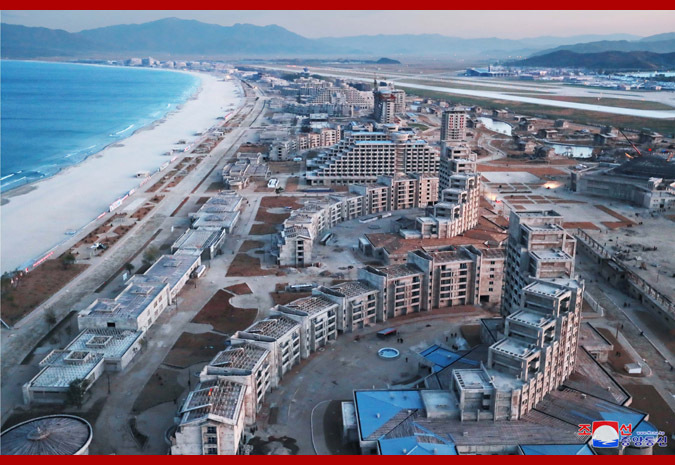 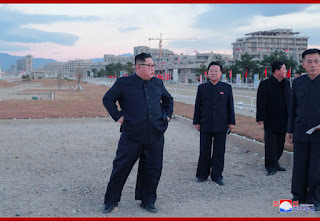 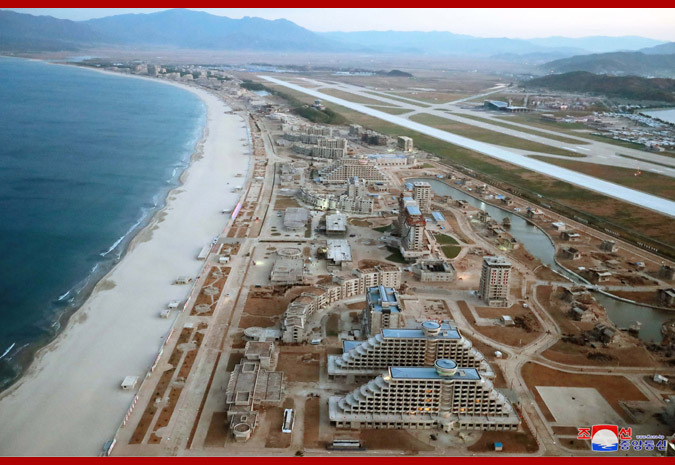 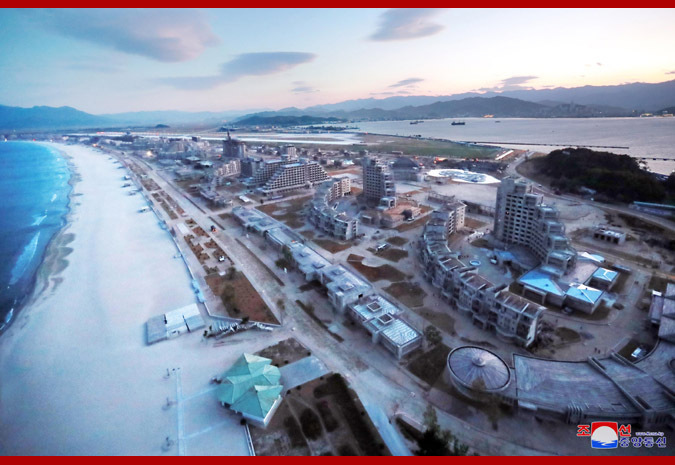 Pyongyang, November 1 (KCNA) -- Kim Jong Un, chairman of the Workers' Party of Korea, chairman of the State Affairs Commission of the DPRK and supreme commander of the Korean People's Army, inspected the Wonsan-Kalma Coastal Tourist Area under construction again. Supreme Leader of the Party, state and army Kim Jong Un enjoyed a bird's-eye view of the street of the area and looked around it with the aim of learning about how the project is making progress. He said that he recently studied the layout of the street so much, and found that the whole street is not perfect in the artistic aspect; only the formative artistic quality of each building is stressed; the artistic reciprocity, compatibility and connectivity among the buildings are not flexible, and high and low buildings are not combined in a harmonious way. 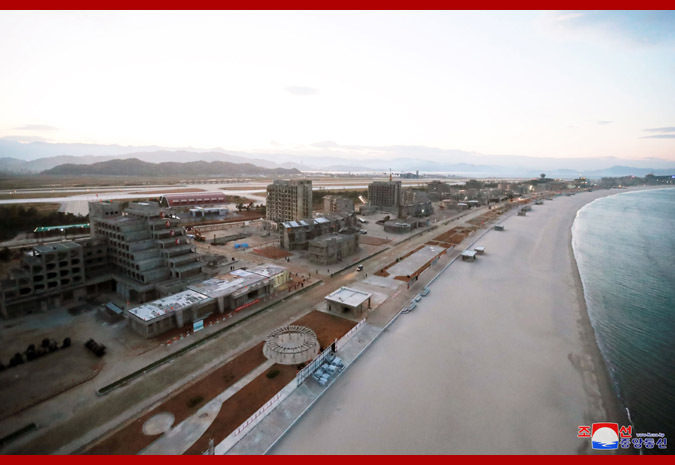 He instructed officials to envisage the construction of more hotels and inns with over 30 floors as he told in August and to arrange an office building which will house the party and working people's organization committees, the management committee, the security organs, the judicial and prosecution organs, etc. 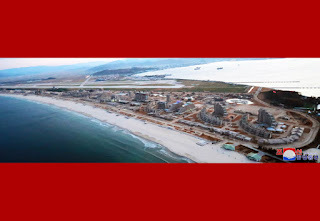 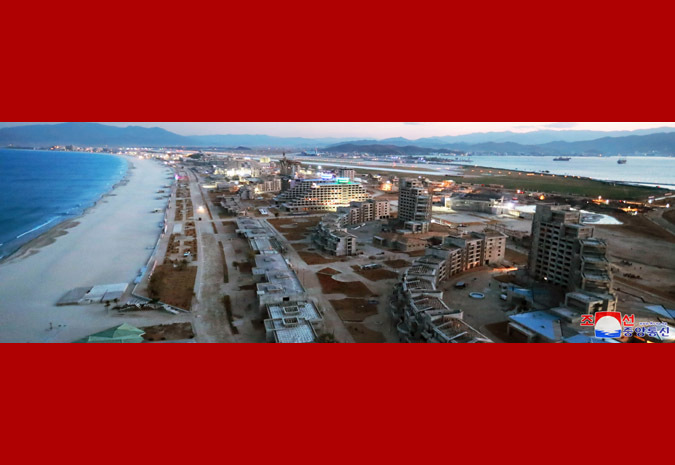 as a high-rise building near the coastal area so that they can become part of the street. 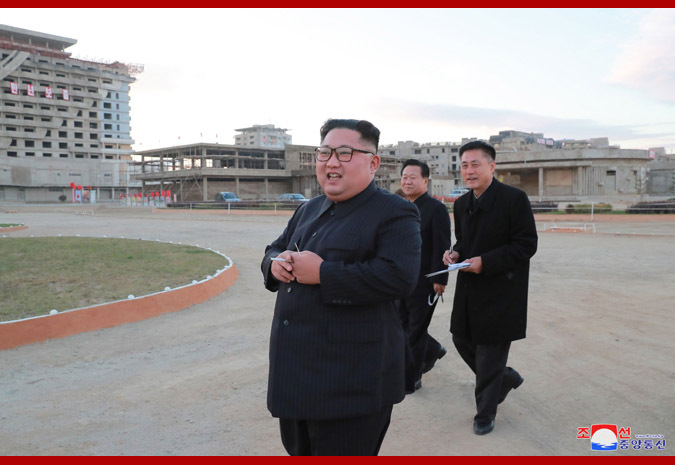 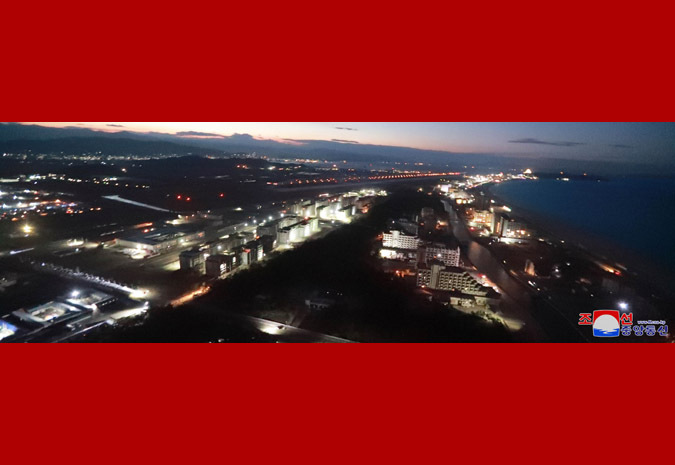 He also indicated a detailed orientation to build more game arcade, all-event stadium and movie houses within the area and plan large water park and funfair in a vacant lot between the coastal line and the airport. 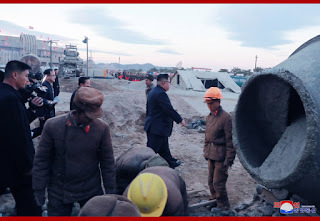 He gave the officials the task to build a huge parking place in the area, rebuild the Kalma railway station and deeply study the issue of settling the public transportation in the area. 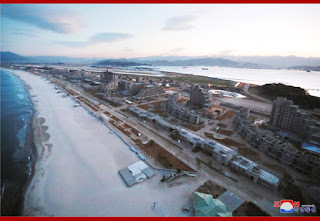 He said that a priority should be given to the afforestation and greening as he stressed in the past, adding that the design for the afforestation should be done well in keeping with the character of the coastal street and effort should be made for the afforestation. He said that seeing the construction site of Myongsasipri (4-kilometer beautiful sand) rapidly making progress each day he could vision the 4-km beach turning into Inphasipri (4-kilometer tide of people) before long, adding that he is heartened and so pleased when he pictures the people leading a highly civilized and happy life on the beautiful East Sea coast of the country, a scenic spot rare to be seen in the world. The country still suffers from difficulty, but lots of edifices to be envied by the world people, people's possessions and new happiness as well as the coastal tourist area will continue to come into being on this land without letup as our Party, which regards it as its main task to work for the wellbeing of the people, is pioneering the civilization of the new century and shaping the new world with its correct leadership and there are the immutable will and united efforts of all the servicepersons and civilians who follow the Party's orders and instructions through thick and thin, he said. 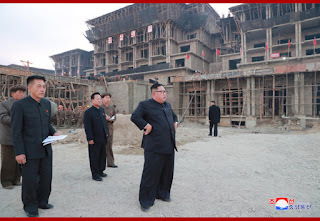 The hostile forces are foolishly keen on vicious sanctions to stand in our way toward promotion of people's wellbeing and development and to lead us to change and submission, but they will be made to clearly see over time how our country that has built up its strength hundreds of times defying hardship turns itself into a powerful nation by its own strength, technology and efforts, he said. 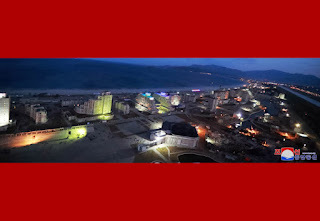 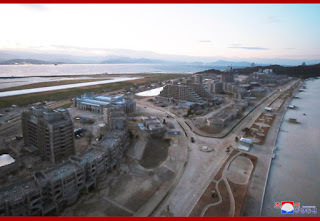 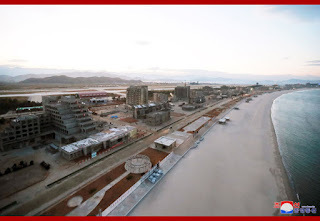 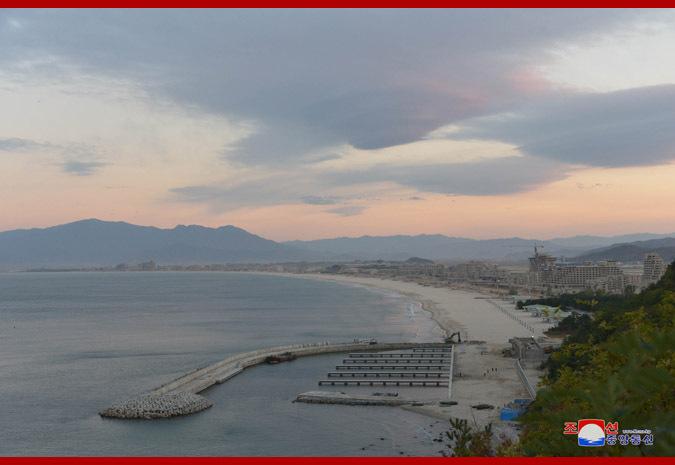 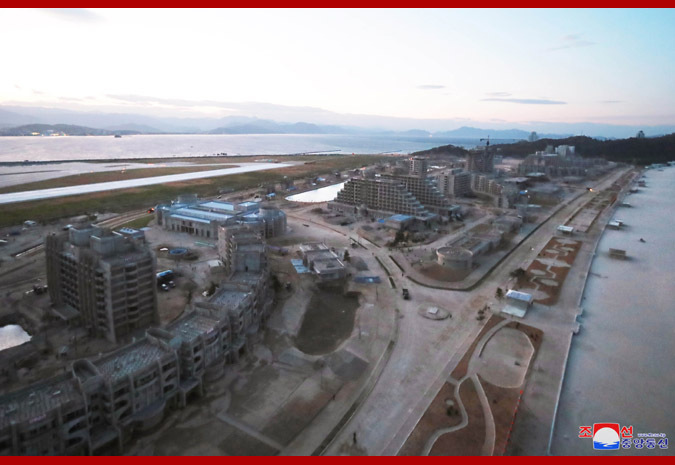 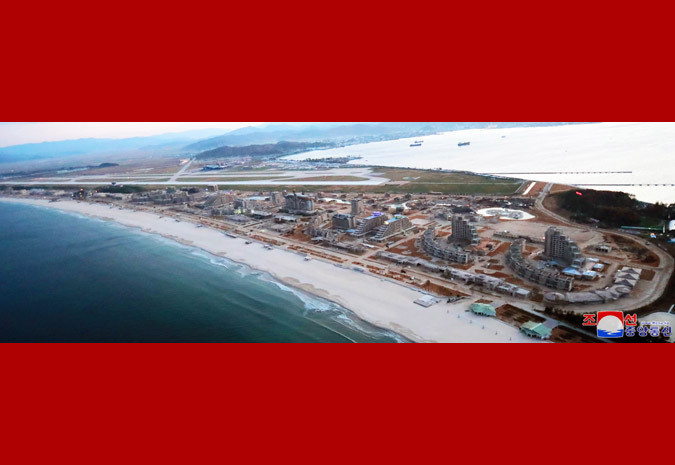 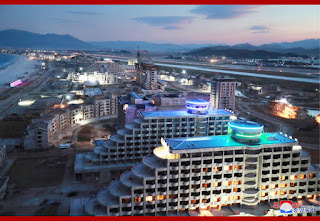 He continued to say that as he stresses once again, to register continued successes in such huge creation projects as the construction of the Wonsan-Kalma coastal tourist area under such difficult and tense situation as today would be a on-target impact on the hostile forces and is precisely a decisive battle for safeguarding the authority of the Party and a worthwhile work for creating and bringing into a reality the happiness of the people. 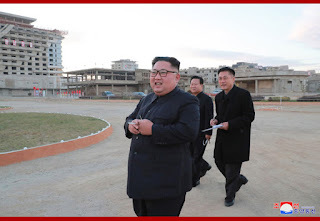 He added that everybody should bear this in mind and display popular heroism and indomitable fighting spirit to demonstrate once again before the whole world the work style in the era of the Workers' Party, the development potentials of our country and our own style development speed. 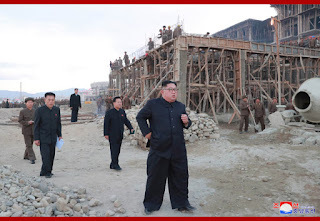 He believes that the people's cultural recreation center, people's maritime park to be envied by the world will be built to astonish the world again on the occasion of October 10 next year by dint of the tremendous efforts of the builder-masses intensely loyal to the call of the Party, he said, calling for making a brave charge to bring earlier the day when the people's laughter and song of happiness would resound throughout Myongsasipri.